Over at Business Insider, my good friend Ben Gilbert tells the story of the time Microsoft lost track of top-secret hardware. 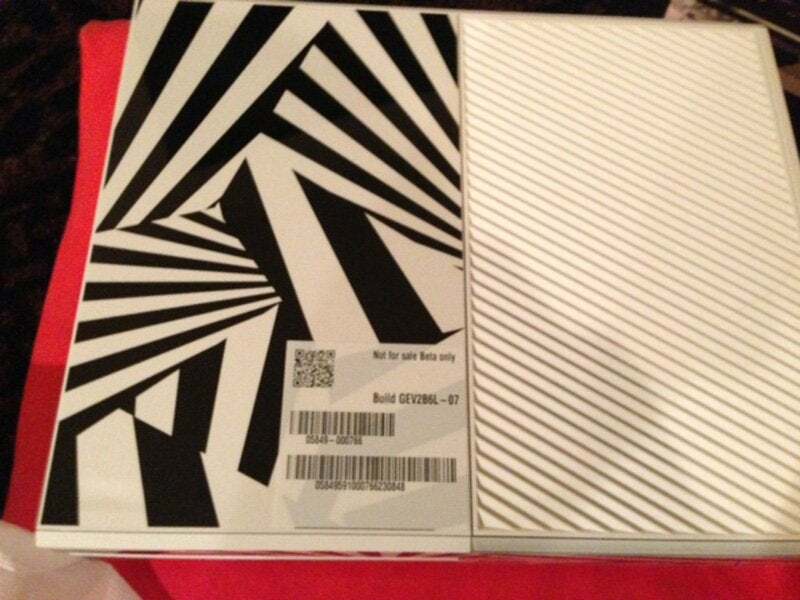 Back in 2013, 25-year-old Jia Li bought a new laptop online, then somehow received a package with a zebra-striped prototype for the Xbox One, which was code-named Durango. Li contacted the website Engadget, where Gilbert worked at the time. He eventually found himself talking to Microsoft's people. "In March 2013, a Microsoft representative arrived at Mr. Li's house and retrieved the prototype Xbox One," Gilbert writes. "Mr. Li was given a new Xbox 360 and Kinect for his trouble. He also finally got the laptop he ordered." It's a wild story — just how does Microsoft accidentally mail a top-secret prototype to a random customer? — and it's almost equally wild that this has remained secret for so long. I asked Gilbert why Engadget didn't report on this back in 2013 when they heard from Li, and he explained that they'd negotiated with Microsoft for an exclusive story on the Xbox One. "After receiving the box in March 2013, Jia Li wanted to either sell it or return it to Microsoft (to get the laptop he ordered! )," Gilbert told me via gchat. "We weren't going to buy it. So we facilitated returning the box to Microsoft in exchange for exclusive, early access to the Xbox One. The condition of that exclusive: Not writing about the story of Microsoft losing the Xbox One. It's been three years. I'm no longer at Engadget. The people who worked with me at Engadget on the deal are no longer at Engadget. It felt like the right time." It's like Crabs, but with Scorpions. On closer reading, we should highlight more of what's in that Engadget piece. A snapshot in time of what went into planning a machine that never truly saw the light of day in the end. Like, in a perfect world I'd love to read a blow-by-blow account of the development of NIntendo's newest machine, having a writer embedded like Engadget was. That's obviously not going to happen any time soon however.